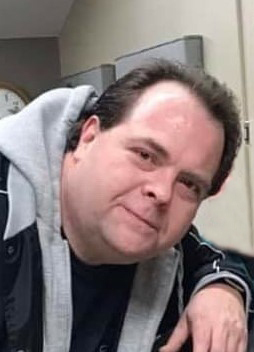 David H. Rosenberg, age 46, of Wheaton, formerly of Farwell, died unexpectedly, Monday, February 11, 2019, at his home. A celebration of life will be held 2 p.m., Monday, February 18, 2019, at Lind Family Funeral Home in Alexandria with Rev. Gary Taylor officiating. A visitation will be held 5-7 p.m., Sunday, February 17, 2019, at Lind Family Funeral Home in Alexandria and will continue one hour prior to the service. David Henry was born on October 27, 1972, to Donald and Lyla (Leuze) Rosenberg in Willmar, Minnesota. He attended Lowry Elementary Schools and Glenwood High School. Following his education, David started working as a painter. He met Heather Smith in 1992, and they’ve been inseparable since then, living various places but in Wheaton for the past nine years. David owned his own painting company, “In Color Paint”, specializing in both interior and exterior painting. He was also a handyman, “Jack of all Trades”, and could fix just about anything, including automobiles. He helped many area farmers and in addition was also working at SCC, a custom molding plastics company in Wheaton. He and Heather moved into their dream hobby farm in December of 2018. David enjoyed hiking, fishing, camping and just being outdoors. He always had time for friends, lending a helping hand or giving the shirt off his back. Most important to David was his family, spending time with them and raising his pride and joy, granddaughter, Aurora. He was preceded in death by his father, Donald Rosenberg; and father-in-law, Ralph Smith. David is survived by his wife, Heather; three sons, Cody Ray Smith of Wadena, Andrew David Rosenberg and Alexzander Donald Rosenberg both of Wheaton; daughter, Jennifer Abbie (Ethan) Hanes of Browerville; mother, Lyla Rosenberg of Alexandria; brother, Jonathan (Jackie) Rosenberg of Alexandria; two granddaughters, Aurora Hope Rosenberg and Nova Leigh Marie Rosenberg; two nephews, Blake and Mitchell; two nieces, Kylie and Nichole; and mother-in-law, Ruth Ann Smith of Browerville; along with a host of other relatives and friends. Urn bearers are Justin Krause, Mark Anderson, Duane Reisch and Dat Quang. Honorary urn bearers are Mike Gustafson and Mike Erickson.